"Shaken Knot Stirred (ex Plumduff) is without a doubt one of the most recognizable yachts In the Pacific Northwest. Constructed by Admiral Marine in Port Townsend, WA she was considered the most advanced yacht ever built when launched in 1996. She has graced the cover of many magazines and has won many awards including being ranked one of 25 best yachts ever built. Having just completed a $500,000 refit, including all new interior, new electronics, and refinishing all exterior wood, "Shaken Knot Stirred" shows better then ever. With a replacement cost of approximately $7.5m she represents an excellent value in todays market and is being offered at a fraction of replacement cost. 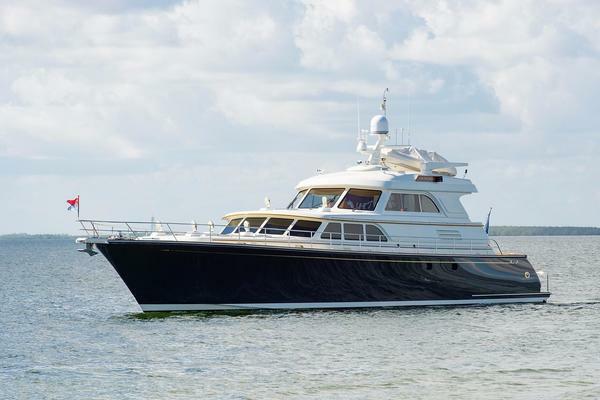 Owners plans have changed and "Shaken Knot Stirred" is Seriously For Sale! Now is your chance to own this floating piece of art, a PNW classic! Call for more information and to setup a private tour!